VMWare | The IT Melting Pot! It’s really great to see the capabilities of the Nutanix platform! Just read this great blog post by @andreleibovici around Content Based Read Cache (CBRC) and how this isn’t necessary at all on a platform like Nutanix! Overtime I will discuss more about the technology behind Content and Extent Caches. For now what is important to know is that Nutanix provides a better in-memory microsecond latency benefits provided by CBRC for any VDI solution on any of the aforementioned hypervizors, for both Linked and Full-Clones. In fact, Nutanix engineers even recommend Horizon View administrators to disable CBRC because the Nutanix approach is less costly to the overall infrastructure. It is amazing when your world turns upside down and a technology that used to be awesome becomes mostly irrelevant. It amazes me how fast technology evolves and help organizations to achieve better performance and lower OPEX. For a long time I have discussed the benefits of CBRC (Content Based Read Cache) available with Horizon View 5.1 onwards, allowing Administrators to drastically cut-down on read IO operations, offloading the storage infrastructure and providing greater end-user experience. Here are few of the blog posts I wrote on CBRC technology: Understanding CBRC (Content Based Read Cache), Understanding CBRC – RecomputeDigest Method, Sizing for VMware View Storage Accelerator (CBRC), View Storage Accelerator Performance Benchmark, CBRC and Local Mode in VMware View 5.1, View Storage Accelerator (CBRC) Hashing Function. CBRC helps to address some of the performance bottlenecks and the increase of storage cost for VDI. CBRC is a 100% host-based RAM-Based caching solution that helps to reduce read IOs issued to the storage subsystem and thus improves scalability of the storage subsystem while being completely transparent to the guest OS. However, CBRC comes at a cost. The digest file creation for a large replica disk can take a large amount of time and a bulky quantity of IOPS, therefore it’s is recommendable not to run the operation, create new desktop pools, or recompose existing pools during production hours. CBRC also uses a RAM to manage the cached disk blocks. The per-VMDK digest file is also loaded into memory. That is the reason why CBRC should not be enabled under memory-overcommit environments. 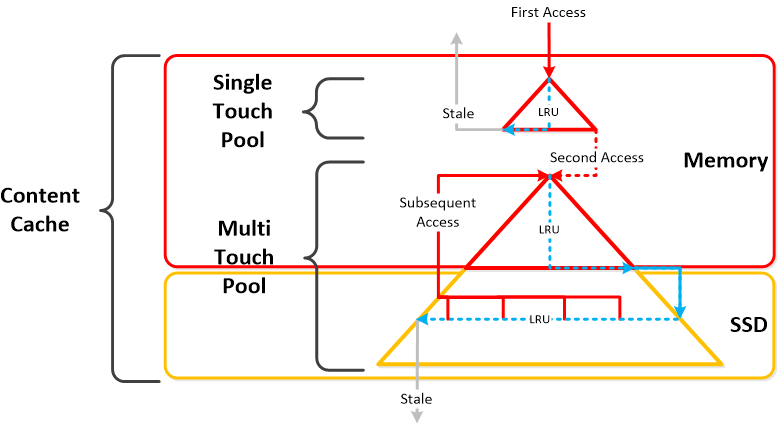 If a host is memory over-committed and CBRC is enabled – the memory pressure is increased as CBRC also uses memory for the cache. In such cases, the host could experience increased swapping and the overall host performance could be impacted. Whilst I wrote about CBRC benefits, I also received numerous negative comments about the technology, including lack of support for full-clone desktops, being unsupported for layering tools like Unidesk, and taking too long to generate new hashes for every replica. CBRC is a platform feature (vSphere), however it is only enabled and available via Horizon View. Other VDI products such as XenDesktop or vWorkspace cannot utilize the feature. Nutanix suppress the need for CBCR, providing similar functionality to any VDI solution running on top of vSphere, Hyper-V or KVM. Nutanix has a de-duplication engine built into the solution that works real-time for data stored in DRAM and Flash. This is really funny! Have a look at this video to see how you can compare a XenDesktop and a Horizon View installation side-by-side! This is really interesting! I’m not that surprised though, it was about time VMware did something! I must agree with a lot of people who have written about this, they are really going for a leader! So they mean business! Will be fun to see how well the can integrate this into their offerings and how that will look like. Mobile device management has been a hot sector desperately in need of consolidation given there are more than 100 vendors. Large enterprises increasingly want mobile device management put together with content management and collaboration. VMware’s acquisition follows IBM’s purchase of FiberLink and Citrix’s acquisition of Xenprise in 2013. VMware’s spin is that AirWatch will give it a foothold in mobility as well as its end-user computing strategy, which revolves around desktop virtualization and delivering enterprise apps to tablets and smartphones. Here’s Gartner’s Magic Quadrant on the sector. According to VMware, AirWatch will continue to be led by CEO John Marshall. AirWatch will be lumped into VMware’s end-user computing group, which… continue reading here! Acquisition will Provide Customers with the Most Complete Solution to Manage Users, Devices and Applications across Desktop and Mobile Environments. PALO ALTO, Calif., January 22, 2014 – VMware, Inc. (NYSE: VMW), the global leader in virtualization and cloud infrastructure, and AirWatch today announced that they have signed a definitive agreement under which VMware will acquire AirWatch, the leading provider of enterprise mobile management and security solutions. VMware will acquire AirWatch for approximately $1.175B in cash and approximately $365M of installment payments and assumed unvested equity. The AirWatch team will continue to report to founder and chief executive officer John Marshall as part of VMware’s End-User Computing group, led by Sanjay Poonen, EVP and GM. Alan Dabbiere, AirWatch’s cofounder and chairman, will be overseeing a new AirWatch operating board which will report to Pat Gelsinger, VMware chief executive officer. “AirWatch provides best-in-class, secure, enterprise-mobile management to thousands of businesses around the world,” said Pat Gelsinger, chief executive officer, VMware. “With this acquisition VMware will add a foundational element to our end-user computing portfolio that will… continue reading here! Here we are again… a lot of companies and Solution Architects are scratching their heads thinking about how we’re going to do it “this time”. Most of you out there have something today, probably running XenApp on your VMware or XenServer hypervisor with a FC SAN or something, perhaps provisioned using PVS or just managed individually. There is also most likely a “problem” with talking to the Storage team that manage the storage service for the IaaS service that isn’t built for the type of workloads that XenApp and XenDesktop (VDI) requires. So how are you going to do it this time? Are you going to challenge the Storage and Server/IaaS service and be innovative and review the new cooler products and capabilities that now exists out there? They are totally changing the way that we build Virtual Cloud Computing solutions where; business agility, simplicity, cost savings, performance and simple scale out is important! There is no one solution for everything… but I’m getting more and more impressed by some of the “new” players on the market when it comes to providing simple and yet so powerful and performing Virtual Cloud Computing products. One in particular is Nutanix that EnvokeIT has partnered with and they have a truly stunning product. But as many have written in many great blog posts about choosing your storage solution for your VDI solution you truly need to understand what your service will require from the underlying dependency services. And is it really worth to do it the old way? You have your team that manages the IaaS service, and most of the times it just provides a way for ordering/provisioning VM’s, then the “VDI” team leverages that one using PVS or MCS. Some companies are not even where they can order that VM as a service or provision it from the Image Provisioning (PVS/MCS) service, everything is manual and they call it a IaaS service… is it then a real IaaS service? My answer would be now… but let’s get back to the point I was trying to make! This HW, Hypervisor, Network, Storage (and sometimes orchestrator) components are often managed by different teams. Each team are also most of the times not really up to date in terms of understanding what a Virtualization/VDI service will require from them and their components. They are very competent in understanding the traditional workload of running a web server VM or similar, but not really dealing with boot storms from hundreds to thousands of VDI’s booting up, people logging in at the same time and the whole pattern of IOPS that is generated in these VM’s “life-cycle”. This is where I’d suggest everyone to challenge their traditional view on building Virtualization and Storage services for running Hosted Shared Desktop (XenApp/RDS) and Hosted Virtual Desktop (VDI/XenDesktop) on! You can reduce the complexity, reduce your operational costs and integrate Nutanix as a real power compute part of your internal/private cloud service! One thing that also is kind of cool is the integration possibilities of the Nutanix product with OpenStack and other cloud management products through its REST API’s. And it supports running both Hyper-V, VMware ESXi and KVM as hypervisors in this lovely bundled product. 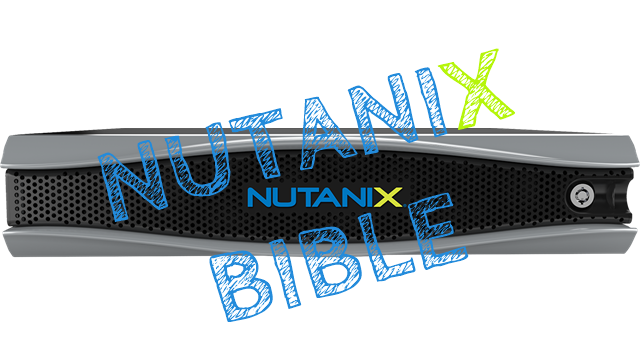 If you want the nitty gritty details about this product I highly recommend that you read the Nutanix Bible post by Steven Poitras here.